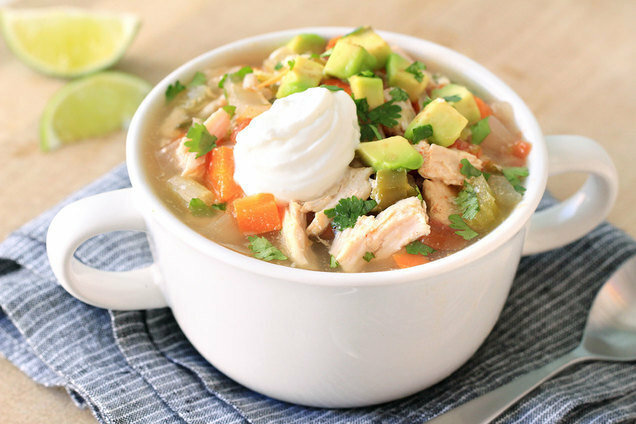 Finished with tasty toppers, this hearty soup is as beautiful to view as it is delicious to eat. Place chicken in a slow cooker, and season with pepper and 1/4 tsp. salt. Top with 1/2 cup cilantro. Add all remaining ingredients except yogurt, avocado, and remaining cilantro. Stir well. Transfer chicken to a large bowl. Shred with two forks -- one to hold the chicken in place and the other to scrape across and shred it. Top each serving with 1 tbsp. cilantro, 1 tbsp. yogurt, and 1/2 oz. (about 2 tbsp.) avocado. This recipe has pureed kale to boost the nutrient factor and the green color, but all you taste is amazing chili full of tender pork! In a blender, combine kale, half of the drained/rinsed cannellini beans, and 1 cup broth. Blend until smooth. Transfer mixture to a slow cooker. Add all remaining ingredients except pork and cilantro, and stir until evenly mixed. Add pork, and stir to coat. Cover and cook on high for 3 - 4 hours or on low for 7 - 8 hours, until pork is cooked through. Remove bay leaf and discard. Transfer pork to a large bowl. Shred with two forks -- one to hold the meat in place and one to scrape across and shred it. Return shredded pork to the slow cooker and mix well. Top each serving with a heaping tablespoon of chopped cilantro. 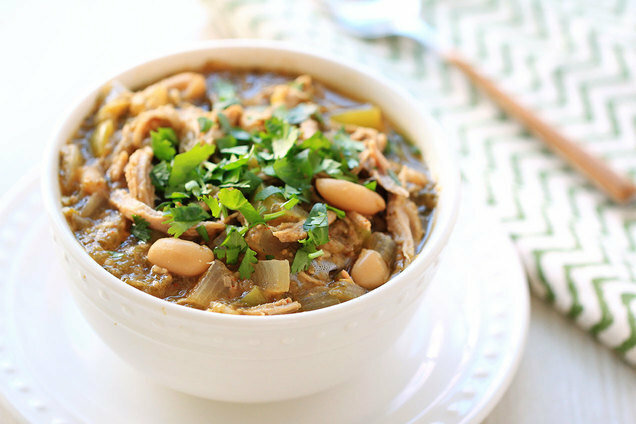 Hungry for More Slow-Cooker Recipes? November 5th (today) is Doughnut Appreciation Day. We've got some amazing baked donut recipes -- chocolate, maple... even pumpkin! Make sure your pals have great set-it-and-forget-it recipes -- click "Send to a Friend" to share!